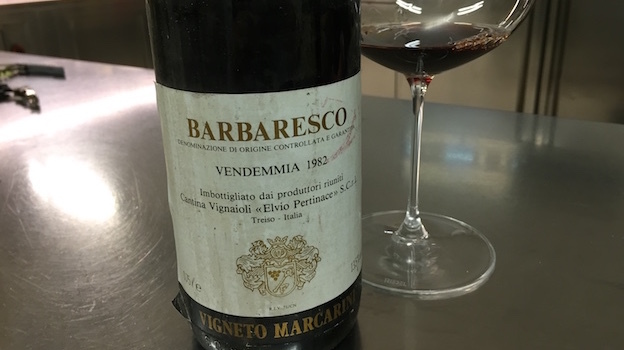 Pertinace’s 1982 Barbaresco Marcarini is a revelation. From one of the all time great Piedmont vintages, the Marcarini is exceptionally beautiful today, with plenty of translucent Nebbiolo fruit, expressive Treiso aromatics and silky tannins, all in a super-classic, mid-weight style that hits all the right notes. Sadly, Pertinace’s current releases are nowhere near this level. At the same time, the 1982 makes a very strong case for what is possible. A look at the back label reveals plenty of detail for Piedmont appassionati. In the 1970s and 1980s, long before the current boom of wine tourism and high-end restaurants, Guido was the place to eat in Piedmont. In the early 1980s, proprietor Guido Alciati bought an old home in Treiso, where he planned to relocate from his historic base in Costigliole d’Asti. Alciati was famous for purchasing entire lots of Barolo and Barbaresco for his restaurant, which is exactly what he did with the 20,000 bottles of Barbaresco Marcarini the Pertinace cooperative produced in 1982. Sadly, Alciati began having health issues shortly thereafter, and the restaurant never moved to Treiso. This bottle captures a very specific period in Piedmont’s history when things were a bit simpler than they are today. 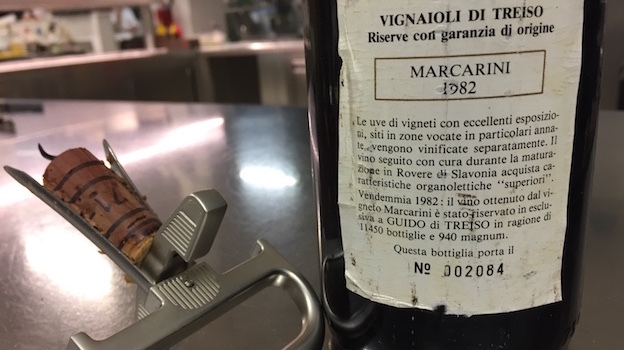 As for the 1982 Barbaresco Marcarini, it is an absolute joy to taste and drink. Over several hours it just gets better and better until all that is left are memories that will last forever. 94/Drinking Window: 2016-2021.